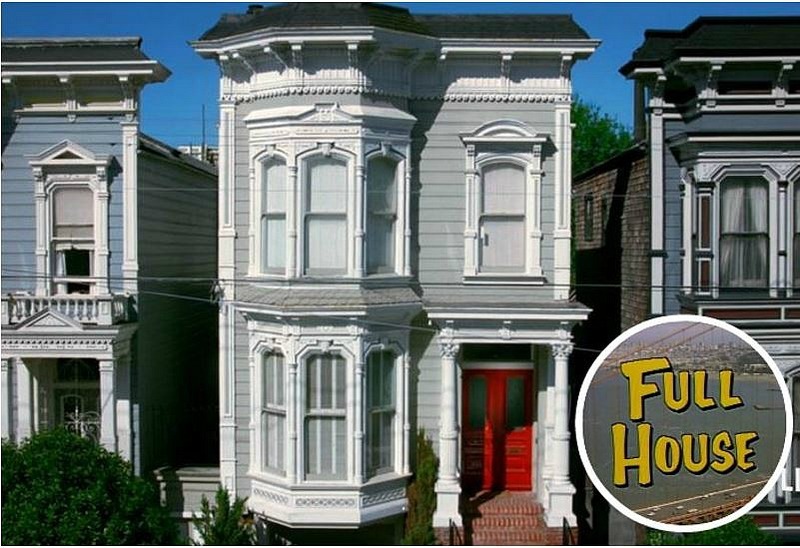 I was thrilled to hear the “Full House” Victorian in San Francisco is on the market for the first time in 10 years (or the “Fuller House” as it’s known on Netflix’s reboot), so we can finally see what it really looks like inside! The exterior siding was recently painted an eggplant purple and the doors are a pale green. The nearly 3,000 square-foot Victorian doesn’t look anything like the TV version once you step through the double entry doors. The large island kitchen is replete with professional style appliances including a 6-burner gas cooktop, double ovens, and full-size wine refrigerator, overlooking the rear garden. You can compare all the real rooms to the TV versions here. The real kitchen has boldly striped floors, tan cabinets painted to match the walls, and stuffed birds and animals on display. Not what I expected at all! The backyard looks very private, which is nice considering you’d probably always have fans of the TV show visiting out front! Do you like the new colors? It makes the trim really stand out! I agree 100%! Love your comment too about the annoying House Hunter couples – so true! I love the area off the living room with all the books, but, really, it’s not my taste at all. The tan kitchen makes it clear, to me at least, why white kitchens are so popular! It looks kind of dingy. Fun to see how utterly unrealistic the studio sets are. 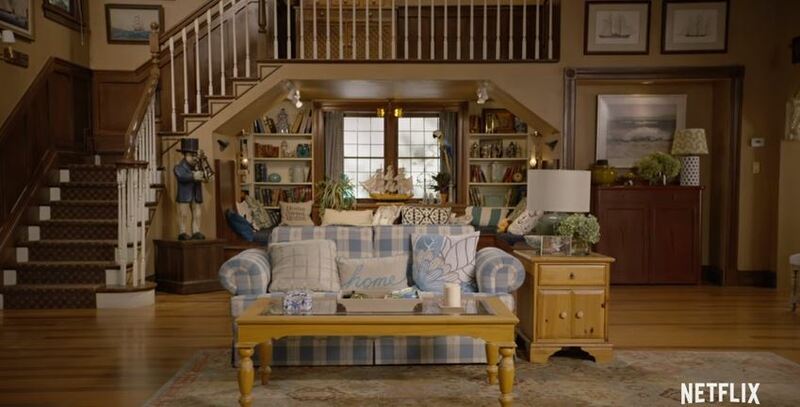 It reminds me of the Huxtable house, among others. 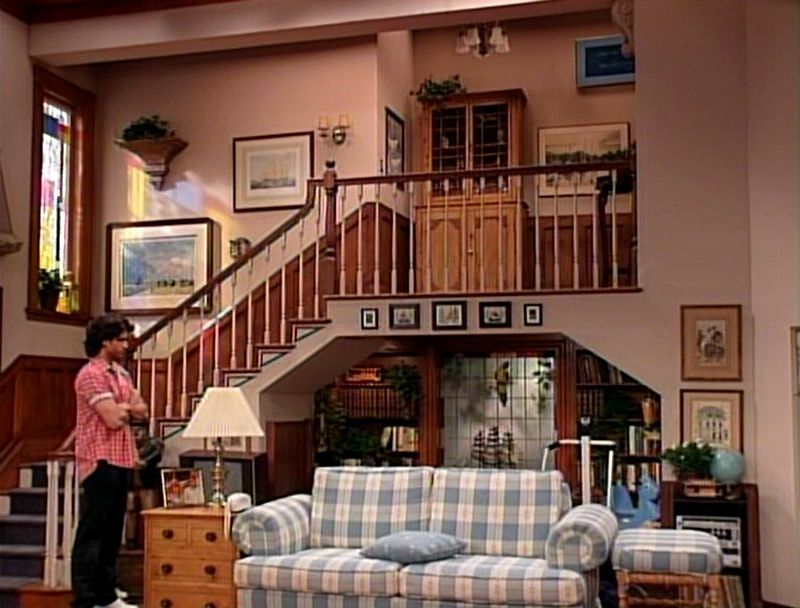 I always thought it was funny how huge the interiors of TV houses looked. So glad they have kept all the Victorian styling. Not a fan of that kitchen, though. Surprised to see a farm sink in that very beige, modern look. 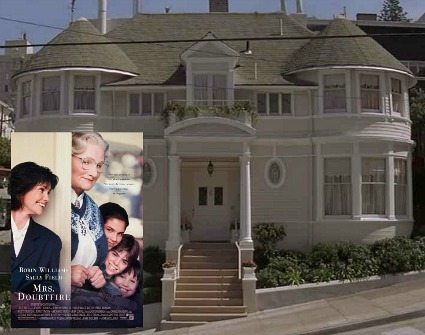 maybe mary kate & ashley would would have signed on to the reboot if it had been shot in the updated townhouse, they are way too stylish for the older version:). love the black doors, black trim and the pagoda lantern in the foyer!! not sold on the taupe wall paper. the library is fabulous, those brass bookcase lamps are great. the kitchen is a great space that could be easily adapted to the new owner’s taste. the backyard is so beautifully designed. I always thought the set didn’t match the outside of the home. Not very Victorian at all. The real interior is so much better! And the new exterior colors look incredible! I agree, Meg. It’s a stunning house. I don’t know which one I dislike more. I think the real house is just way too busy for my liking. Could easily be fixed though, haha. I think the shades of beige and tan look like ten years ago (and it reminds me of your old living room). I like all the built-in book shelves, but the rest is meh. The eggplant front looks nice, so does the entryway. I just think it’s time to move away from the beige. I totally agree, regarding the beige and gold color scheme. Very 2005. I despise the busy wallpaper. I don’t mind wallpaper so much, but something quieter would have been nice. I find the design kind of old fashioned, in a fussy, formal way. The fact that the dining room is such a mess bothers me. It sort of reminds me of visiting elderly relatives, who have mobility issues and can’t keep up with cleaning. The bones of this place are beautiful though. Love that they didn’t take out the wall in the hallway. I love the exterior, but I feel like they planted the wrong trees. Some of the inside designs are lovely, all those shelves! As for the kitchen, it is too modern for my taste and I hate the color. Yet in a strange way, I am pleased it is not a generic white kitchen. The taxidermy makes my uncomfortable in that room, but to each his own. 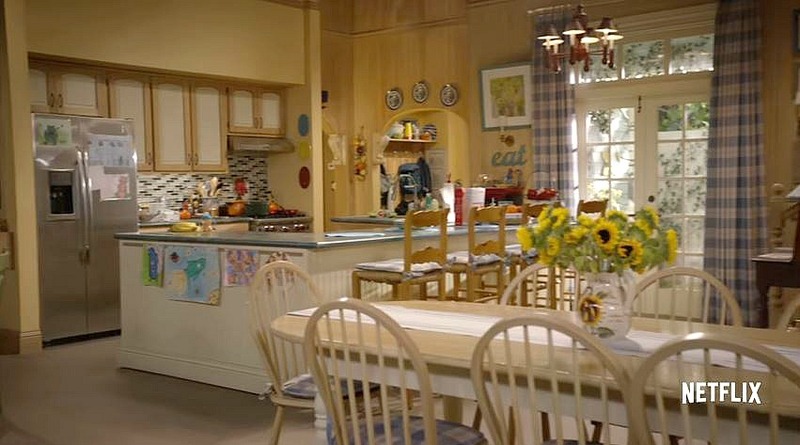 Lovely house….but the one room I prefer the TV version over the real thing, is the kitchen. The real one is a bit bland and the dead animals (whether fake or real) in the display boxes is not something I’d want staring down at me as I eat my breakfast every morning. Love the library nook off the dining room! And the bedrooms seem really cozy. I like the foyer wallpaper — reminiscent of Victorian wallpapers without being a slavish copy. HATE the gray. When will that trend be over? I hate it almost as much as Navajo White — which is saying a LOT. The kitchen is downright ugly — a real disappointment. But I like the exterior colors, so perfect for a Victorian, and the formal backyard. SF backyards are so narrow, a more formal layout gives you the sense of having outdoor rooms and more space. It’s a pity they removed the original front doors. I love the new doors, but not on that house. I’m surprised that they were allowed to change the doors, as that block is landmarked. I’ve been looking for center knob exterior doors, and not able to find them, unless they cost way too much. And we’ve all been greiged to death. Enough! Colour, colour, colour. It makes life richer. The exterior color looks SO much better, you can see all those details. Love the new exterior color and trim. Love some of the indoor rooms, though they look cluttered to me, but I am assuming the furniture will not stay with the house. And the color of the kitchen: yuck! I don’t like the style of the kitchen either, but it does have some fabulous appliances. Other than that: absolutely gorgeous house! Would love to have seen a couple of bathrooms. 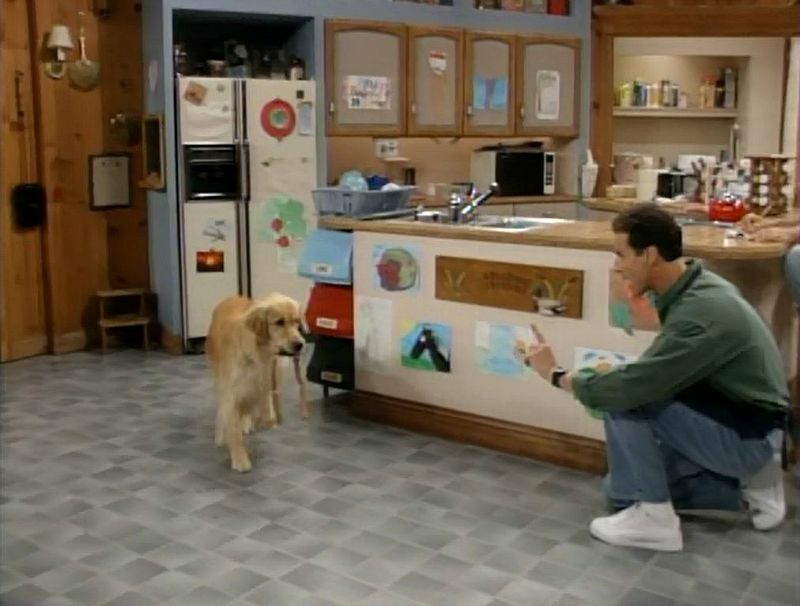 I never really liked the decor in the TV version of this house, but I dislike the real version, too! It’s way too over decorated! The kitchen is awful and ugh at the bedroom that is (apparently?) supposed to be a boy’s bedroom. Come on now. 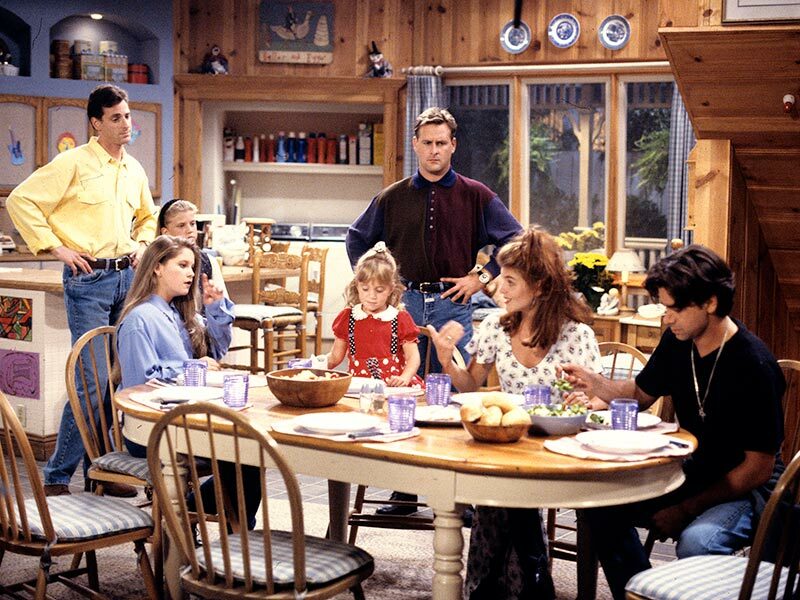 But back to the TV version – I never understood why they didn’t have more seating in the living room with all the people who lived in the house…! Especially since the living room was massive!